Breastfeeding is a normal, natural way to provide nourishment for babies and toddlers. Still, many people have warped ideas about it. Some see a woman's breasts only from a sexual viewpoint, therefor are embarrassed or sickened by a woman breastfeeding a child. Others cannot understand why a woman would want the "inconvenience" of breastfeeding when formula is "easier and just as good for a baby." Many woman have been told to cover up while nursing, or to not nurse their child at all in public places. Some woman have tried breastfeeding and have not been able to do it. I don't mean to judge them or make them feel bad. It can be very difficult or even impossible in some cases. 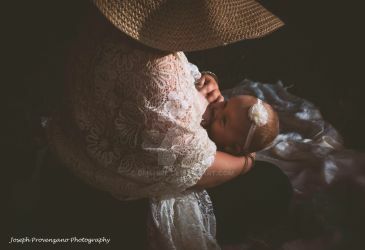 But please support those who do by allowing them the freedom to breastfeed their child whenever and wherever they need to without harassment of any kind. 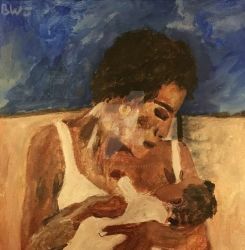 I would like to thank for letting me use their submission: :thumb625307179: for the new Breastfeeding Support group icon. Great work! I did not know that there was a breastfeeding positivity group nor that my deviations could even be requested by a group. Glad you liked my little comic! Yes, it's a pretty small group and it is definitely not the norm on dA. But I regularly check for new art that reflects the purpose of the group. Thanks for sharing!! Thanks for putting my illustration on your page! Thanks And thanks for sharing your art! Thanks for the request and I am glad you like it.